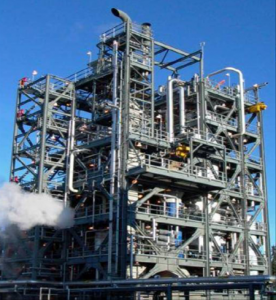 The petrochemical industry produces vast quantities of hydrocarbons annually, and any improvement in catalytic efficiency can bring huge economic and environmental benefits. The Fischer-Tropsch Synthesis (FTS) process is likely to become increasingly important as an alternative technology for fuel production. 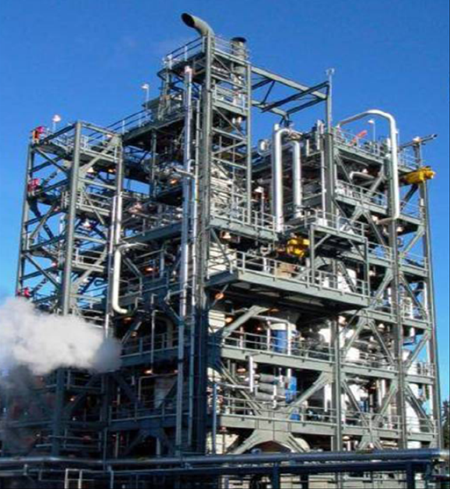 It converts synthesis gas, a mixture of carbon monoxide and hydrogen, into useful hydrocarbons (like diesel or kerosene); one of the more viable and sustainable routes to replace gasoline or diesel fuel produced in oil refining and results in ultra-clean fuels. It is already used by a few petrochemical companies, but very few studies regarding the preparation and evolution of catalytically active species on a real ‘structured’ catalyst exist; this information is key for understanding the reasons behind variable catalyst performance. At the ESRF, researchers investigated the catalyst pellets in action using the recently developed techniques of scattering-computed tomography on beamlines ID11, ID15 and ID31. This technique allowed the team to study a real catalyst sample, thanks to the unique high energy X-rays of the ESRF and state of-the-art 2D area detectors, which enabled measurements of the catalysts under real working conditions. X-ray diffraction computed tomography revealed the different phases in the catalyst as it was reduced from cobalt oxide to cobalt metal nanoparticles, which are the active phase for the FTS reaction. The results also showed the location of the catalyst action and that the number of catalytically-active species are removed.